Music is considered to be something that is an integral part of people’s lives and sometimes our everyday lives. Music is an exact science and requires coordination of all the instruments being played to achieve harmonies. To make harmony possible, a piece (musical composition) needs a guide so that people playing the piece won’t get lost in the middle of the performance. These instruments are called musical scores and for piano enthusiasts, there may be a piano sheet available for the same music. These two sheets are read by professionals who are literate in musical notation and these musical paraphernalia can be used also to make a recording of a musical piece. In the past, creating musical scores and piano sheets required great manual effort. People had to write their compositions in pieces of paper or parchment. They then compiled these collections and bound them all into a book. They used manuscripts to write these scores up to the present time, now musically minded people have developed technology for printing their copies instead of reproducing them manually. But even if these musical scores are printed, there are still some symbols that cannot be printed therefore there is still in need for some manual intervention. 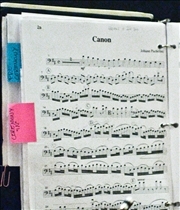 A musical score carries many types of music sheets. There can be compositions which are specifically made for a cappella performances, which requires only one piece of sheet music. There are other compositions that require more than one music sheet for the piece that is played with more than one instrument. This requires different music sheets for each musician. 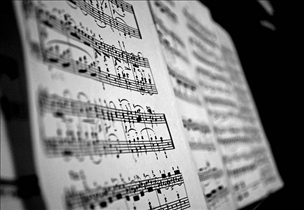 Some types of musical scores include a full score, a miniature score, study score and a piano score. A piano score or a piano sheet is a record of a piano piece and forms part of a musical score. Technology has offered some advancement in terms of reproduction of musical scores and piano sheets. In the past, people used to bring home bulky collections of hard bound books just to manually find the piece that they were looking for. Composing music on the other hand also takes a lot of hard work and in the past composers consumed a lot of paper before their pieces were finalized. Nowadays, composers can download both musical scores and piano sheets through the Internet. The web and some programmers have uploaded a software program that composers can use to make a composition and store them safely on their computers as well. A musical score is a collection of musical pieces which when played together forms a musical composition. A piano sheet is a type of musical score which is a record or a guide for a piece of music, particularly the piano. A musical score and a piano sheet can be easily accessed and edited through modern software that can be installed in a computer. A piano sheet also comes with new software where composers can download some pieces to read, to study and to use as reference. Which musician's tool is used more often?